Why the Garden Club Couldn’t Save Youngstown by Sean Safford is a commonly cited work on struggling cities, particularly smaller ones. Unlike the other work profiled so far, Safford deals less directly with issues of vacant land but examines how civic capacity and social networks can influence a city’s path. Why the Garden Club Couldn’t Save Youngstown compares the trajectory of two very similar Rust Belt cities – Allentown, Pennsylvania and Youngstown, Ohio – and examines why Allentown has been more successful in rebounding from economic decline and adapting to the 21st Century economy. Both cities experienced significant crises as their primary economic engine – the steel industry – retooled in the 1970s, resulting in fewer local jobs and the eventual dissolution of each city’s key local company. Despite these challenges, Allentown has recently experienced economic and population regrowth while Youngstown has still largely not rebounded from the crisis of 40 years ago. Safford narrows in on the social networks between economic and business elites as a key point of divergence between the cities. He traces the structure of social networks back to the founding of each city to determine its effect on the community’s response to later crises. In Allentown, business scions settled among the various cities and towns in the Lehigh Valley and built a spirit of friendly competition amongst themselves. This resulted in investment in civic, educational, and cultural institutions that were ultimately to the benefit of the community as a whole. In Youngstown, on the other hand, Safford finds that business leaders were more closely knit together and identified more with their class identity than another identity tied to place or ethnic group. In Allentown, community leaders, including the president of Bethlehem Steel, sought to increase their own power by building stronger ties among members of disparate communities. In a particularly notable example, Allentown leaders worked to build a literal bridge between two communities and raised money and support for the project through a grassroots level campaign. The stronger ties among members of different economic classes that resulted from this effort helped build networks that were resilient in the face of eventual crisis. In Youngstown, on the other hand, Safford concludes that business leaders saw little personal value in engaging with the broader community and instead actively worked to pit ethnic groups against one another. As the crisis in steel manufacturing loomed, leaders in Allentown responded by laying the groundwork for greater economic diversification. In Youngstown, business leaders doubled down on steel manufacturing. Once the crisis finally hit in the 1970s, Allentown was insulated from the worst effects of the downturn due to increased diversification. Local leaders turned to building local economic engines outside of the steel industry. In Youngstown, Safford says that business leaders essentially left the community on its own to figure out an answer – and the fragmented communities within the city all proposed competing responses to the crisis. Safford is able to follow the connections between economic elites in both cities to trace what kinds of networks produced the different kinds of results. He found that in 1950, economic connections in both cities are relatively dense among different powerful people. 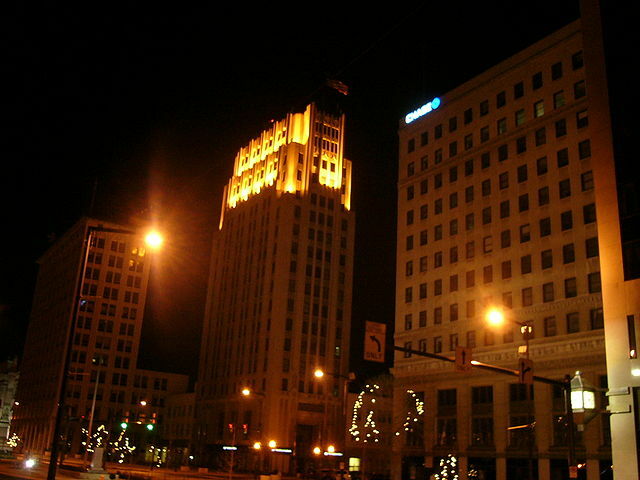 In Youngstown, those connections extended into the social realm as well, as many members of the economic elite attended the same churches and participated in the same clubs. In Allentown, social networks among economic players were much more diffuse, although a few key organizations appeared to connect many of the most prestigious leaders. Safford argues that Allentown’s more diffuse network allowed economic elites to respond to the crisis more effectively. Allentown’s social networks create multiple layers of interaction among participants that are connected but not identical to one another. When one of the layers went into crisis – as occurred in the economic realm – actors had other, insulated layers of interaction to pull from to creatively respond to the crisis at hand. Safford argues that actors were able to receive more and different kinds of opinions about potential responses to the crisis by hearing from a more diverse set of actors. Additionally, a broader set of leaders could emerge than the closed off set of “usual suspects” present in Youngstown. Safford examined the network ties of the most powerful people in both cities again in 2000. His research showed a striking difference in the makeup of each city’s powerbrokers. Quite a few economic elites and political figures remained in prominent positions in Allentown, while in Youngstown power was much more concentrated among leaders of nonprofit organizations and educational institutions. Safford claims that Allentown was stronger because there were still economic leaders involved in its civic structure – and Youngstown suffered because that was not the case. There is little economic incentive for corporate leaders to actively participate in their communities, but in Allentown, the multiple layers of network ties led actors to find other value in participating in civic activities.